One stage down from the top-of-the-range, the CLP-675 has a ruge range of features and enhancements to provide the player with a premium playing experience. 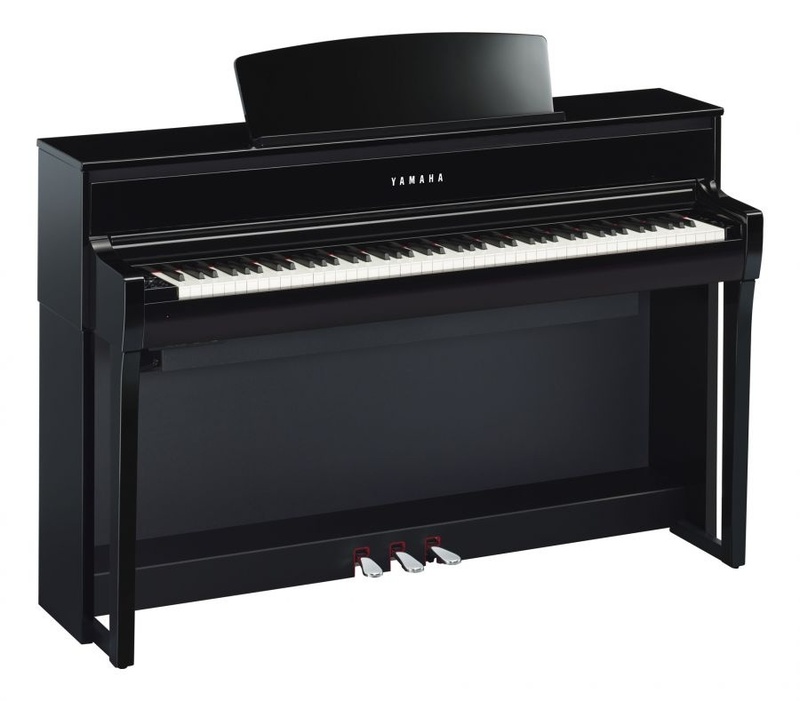 The sound of the CFX and Bosendorfer can be heard through a brand new three-way speaker system, with dedicated speakers for treble, middle and bass frequencies. This six speaker systemalso results in a slightly taller cabinet design, which is further enhanced with subtle and classic cuves to the side profile. The CLP-675 is the first model to include the new GrandTouch keyboard - an industry leader in digital piano action development and the first complete redesign of a Clavinova action in 21 years! Escapement and new synthetic ebony and ivory key tops help give the CLP-675 a refined and realistic feel. CLP-675 is also the first model in the CLP-600 range to include a GP response damper pedal. This recreates not only the feel on an acoustic grand's damper mechanism, but is also able to simulate the subtle sustain differences heard throughout the trabel of the pedal. Of course, CLP-675 also has the ability to connect a USB memory stick to record and play back real audio files, alongside Binaural sampling, music rest clips, 30 rhythms and optional wireless connectivity to iOS devices. The CLP-685 is a considerable upgrade from CLP-675. The GrandTouch keyboard is further refined, the speaker system is unmatched in the range and there are more sounds, including another acoustic grand: the C7 studio grand. The CLP-685 really need to be seen and heard to be believed. In stepping down to the CLP-645, a sound difference is noticeable, due to a change of speaker system. Also, the keyboard action, NWX, is notably different to the brand new GrandTouch keyboard found in CLP-675. There is also a loss of piano detail, specifically in the damper pedal, as the CLP-675 is the first model to offer the GP response damper pedal.